“Our mom and dad were professors and they did a sabbatical in Australia. 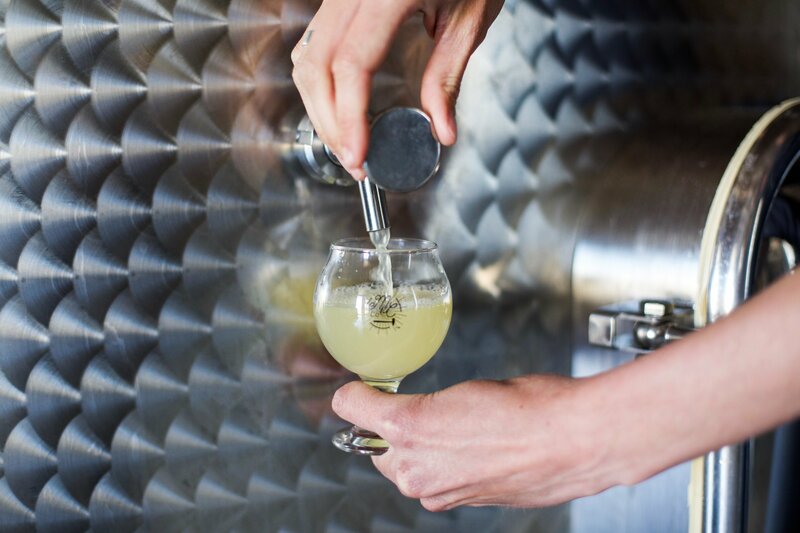 There was a lot of cider there and they asked themselves, ‘Why not here?’” shared Kate Leadbetter, owner and operator of Boise’s Meriwether Cider. 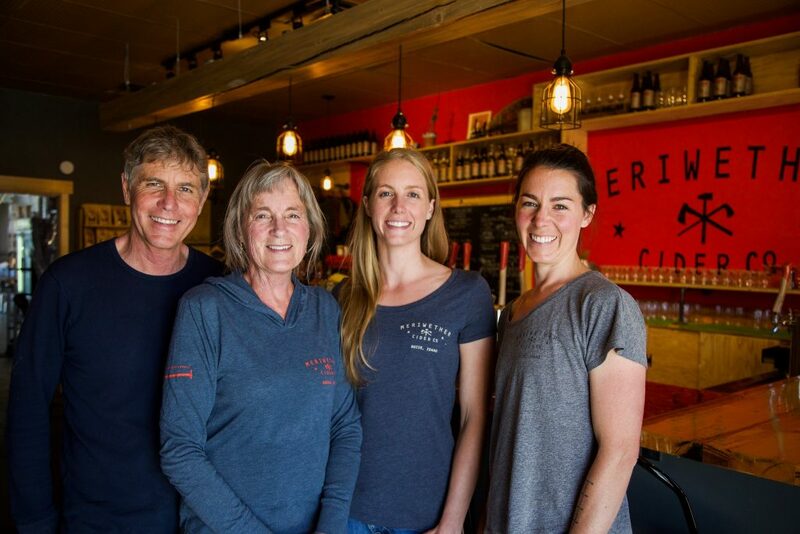 Leadbetter, along with her mother, father and sister started Meriwether Cider in February of 2016 as a family-owned-and-operated cider taproom. “The craft brew scene has exploded in recent years. We really liked living here and thought it was the right time, in the right place, for our cider,” she recalled. Originally from out of state, Leadbetter and her sister moved here to attend the College of Idaho before becoming wildland firefighters. They have never looked back. “We love it here and the community has been really great to us, too. Boise is such a unique community; people here are really supportive of local businesses. It’s very heartening to see,” she declared. Located on Chinden in Garden City, the taproom is open Wednesday through Sunday with cider production taking place on site. Utilizing dessert-type apples sourced from Idaho, Washington and Oregon, Meriwether offers seven varieties of cider during the year, four of the ciders are offered year round, and three are rotating seasonal ciders. Other examples of Meriwether’s offerings include the Hop Shot, exclusive to their taproom, which is a hopped cider. There’s the Gin and Juice, in which a botanical-infused gin is added to the cider, giving it a unique taste. There are fruit-flavored ciders such as Cherry Thyme Bomb, Cranberry Crosscut and more. Sangria and Peach Tea-style ciders are slated to be the seasonal offerings for July and August. Meriwether hosts a variety of events throughout the year, including attending the Boise Farmers’ Market. Additionally, each Friday and Saturday food trucks come and park on site, and also during special events. Leadbetter elaborated, “I consider myself a little bit of a foodie. We have Grilled Cheese Nights where we have a grilled cheese truck come and park. 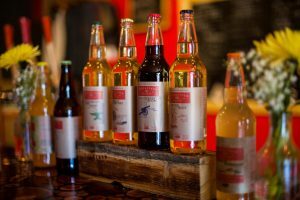 Finding that perfect combination of cider and food is just phenomenal,” she enthused. They press 5,000 gallons of juice at a time, which lasts about 2 months. Meriwether Cider derives their name from the famous explorer Meriwether Lewis, a family relative.